DieboldDirect has a wide array of security signage options to help keep your location safe and compliant. 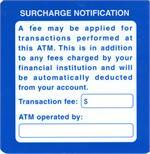 Inform customers of fees with the surcharge notification decal or when their deposit becomes available with the availability of deposits decal. 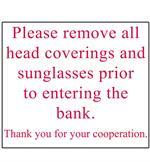 Show your customers or members you care about their safety with eh ATM safety tips decal.